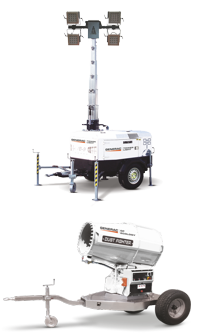 The history of Generac Mobile®, formerly Tower Light, started on 1997,when the company was founded with the purpose of manufacturing lighting systems in the form of optional kits to be added to electric generators. 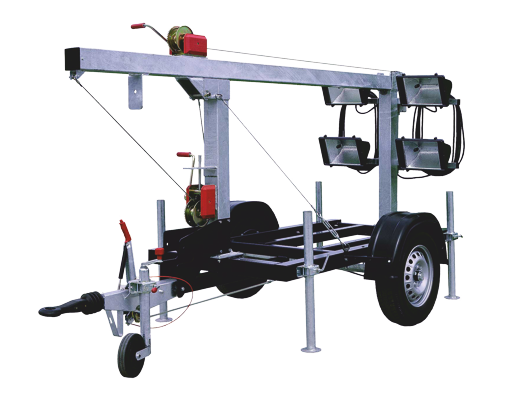 Soon this system became an independent solution that led to the creation of the mobile light tower. This new product designed for the European market immediately became very popular. The company expanded over the years and continued to develop innovative solutions increasingly appreciated by its customers. The company’s constant focus on the specific needs of its customers soon made itself the leading brand at a European level in the world of lighting towers already at the beginning of the new century. The happening that changed the course of events forever and permanently revolutionized the world of lighting towers was the first light tower with a telescopic mast vertically integrated into the electric generator, launched on the market by Tower Light on 2003. 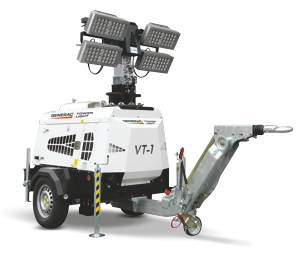 This revolutionary new model developed for the first time in the world was called VT1, that immediately became the most popular one in Europe in the construction and rental sector: for the first time those who used light towers had a compact, safe, innovative solution that was easy to use. It was bound to be a success. 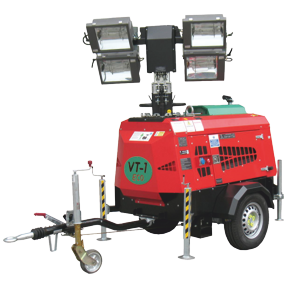 Since then Tower Light manufactured more than 10,000 VT1 models. Creating solutions with low energy consumption and limited carbon emissions are the two basic principles the company takes into account by developing any product. Following these principles, the VT1 was furtherly enhanced through the introduction of a series of environmentally-friendly features like timer and darkness sensor: the VT1 Eco was born. 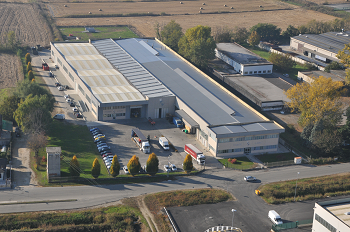 In 2007 the company introduced a new line composed by different products for the construction market, in particular a series of diesel-driven pumps available in different configurations. This allowed Tower Light to provide the customers with many different products. The innovation of lighting towers didn’t stop. 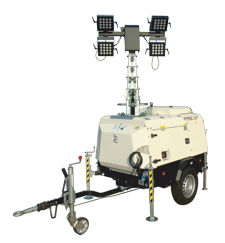 On 2009 there was the introduction of the Hydro Power Cube, an innovative mobile light tower expressly designed for the event market. Its extreme compactness, the accessories for automatic start and stop and the 200 liters fuel tank made the HPC one of the best seller light towers since the launch on the market. In 2010 Tower Light launched on the market the VB9, a new environmentally-friendly model with fuel-savings equal to 75% compared to traditional lighting tower. This new lighting solution was immediately a big success, in particular on the UK market. 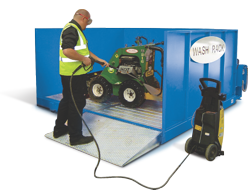 Another important product was launched on the market, the Dust Fighter, a line of mobile dust suppression units able to reduce dust in working areas like demolitions and mines. This innovative line of product spread immediately on the international market so that Tower Light started designing different models to fit the needs of customers. At the present time there are no less than 9 models with different coverage range, included the DF 7500 MPT, with a complete autonomy, and the DF Mini, ideal for asbestos removal. In 2011 Tower Light was the first firm in the world to launch on the market the innovative models of lighting tower with LED lamps: another revolutionary product able to increase fuel-saving and reduce carbon emissions. 2012: Save water with the Wash Rack! In 2012 Tower Light launches on the market the Wash Rack, a closed loop washing bay with a paricular filtering system able to separate water from mud, oils and hydrocarbon, so that the cleaned water can be reused. In fact it is pumped to the high pressure washer to be used again. This sustainable system allows to save up to 80% of the water to clean the equipment. 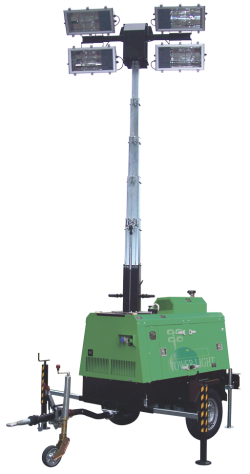 In 2013 Tower Light took a further step towards the creation of zero-emission solution by launching on the market the VT-Hybrid, the first mobile light tower in the world equipped with an hybrid power system with rechargeable battery pack. So the company reached the aim to create a reliable, zero-emission, and zero-noise mobile light tower able to fit the most stringent regulation. Always in 2013, Tower Light was acquired by Generac Power Systems, Inc., the leading American manufacturer of commercial, industrial and portable power generators. 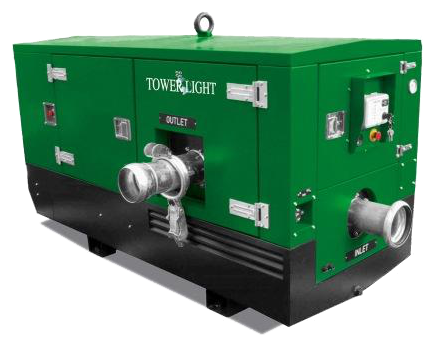 This acquisition allowed Tower Light to take a new step forward the development of new innovative products, as diesel-driven power generators. 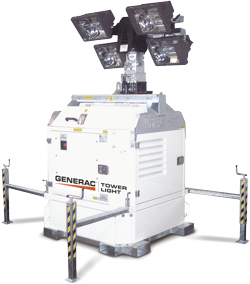 On March 2015 Tower Light Srl has changed its legal name into Generac Mobile® Srl. 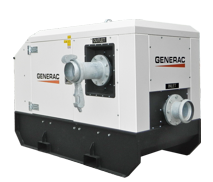 In 2015 Generac Mobile® launch on the market a new line of diesel-driven pumps generators, composed by 4 families: DWP-S (vacuum assisted, silenced), DWP-OW (vacuum assisted, open set, water cooled), DWP-OA (vacuum assisted, open set, air cooled) and DWP-SP (self priming, open set, air cooled). 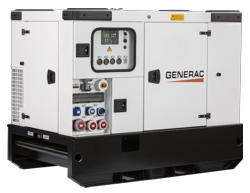 Generac Mobile Product increase their product line by launching on the market a wide series of power generators divided into different families: GMS (Standard line), GMB (basic line), GMP (Portable line), GMN (EU regulated line), GMR (Rental line) and GMH (60 Hz line). Today, Generac Mobile® is still run with the same passion of the early years and operates across all the continents of the world with retailers and direct and indirect subsidiaries. Its constant desire to innovate and develop solutions in step with the times made Generac Mobile Products a leading company worldwide in the construction market, with a continuous growth throughout the years.